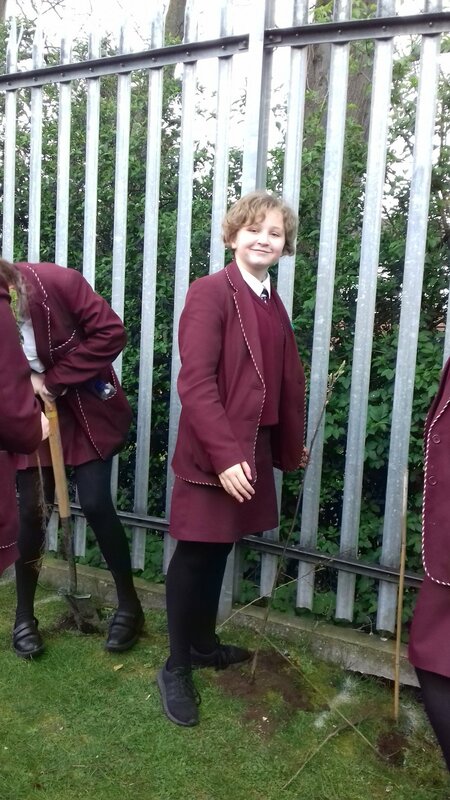 15 students from year 9 to Year 12 took part in a planting and edible hedge (for wildlife) in the school grounds on Monday 1st April. The event was organised in conjunction with Belfast Hills Partnership ‘Make Space for Nature’ project. The project aims to make improve the school grounds for biodiversity, in total the group planted 80 hawthorn, 6 rowan, 6 elder, 6 hazel, 6 cherry, 6 birch, all native species which will attract our native birds to feed on them. The group have other plans to help increase biodiversity in the coming months.